← Will using the VA’s Choice Program wreck your credit? Thank you for the comments to my guest post about the Veterans’ Choice Plan and to Frank for the link to the Gazette editorial. I think that the Tricare idea has merit but are the benefits better or the same as the VA’s? There are a myriad of stupid and wasteful VHA practices but I can think of many reasons why it should not be privatized but rather become more veteran- inclusive, simplified, expanded (Choice Program) and improved. For example, during the “Great Recession,” a 40-something moderate-income Navy veteran I know, lost his good-paying job and health insurance. During his period of unemployment he sought health care at the VA but was turned down because he owned a retirement 401K plan, lived in a mortgaged “upside down” house and owned a car. Six years in the service–including dangerous duty working on nuclear submarines–but the first time he really needed VA health care, he was turned away. What reasonable veteran wouldn’t be bitter about that? He is. He was also ineligible for state insurance plans. Due to pre-existing health issues, high risk insurance pools were not affordable on unemployment checks. His COBRA plan was also not affordable and if he drained his 401K, he’d have to pay a tax penalty. He eventually landed another job 800 miles away, which offered good insurance and affordable premiums, before any medical disaster struck. But, like millions of other folks, he lost his home in foreclosure during the Wall Street economic debacle. Image credit: Kaiser Family Foundation. Click to view slide show that illustrates the problems: Who is Impacted by the Coverage Gap in States that Have Not Adopted the Medicaid Expansion? Many adult veterans living in these states will have no other viable option for health care if the VA doesn’t have facilities or Veterans’ Choice providers in their locale. Small businesses employ veterans but finding jobs with any health benefits can be hard because many small employers have been forced to drop health insurance or go out of business. Big employer/small employer, group insurance or none: vets earning “slave wages” can’t afford their portion of private insurance premiums anyway so the point is moot. When veterans can’t access VA health care, what do their out-of-pocket costs look like? Consumer Reports received grant funding for their retail drug price research (LINK). Need insulin? Don’t ask. Should veterans be subject to income or asset tests? No! No way! Veterans have earned this benefit yet only some can get medical help when they need it. Better-off insured vets? The VA bills their health insurance and collects needed income. Win-win. In rural areas that don’t have waiting lists, why not allow family members/widows with health insurance to access VA health care rather than close facilities? Help families and get paid. The notion that fraud, waste, and medical incompetence can be eliminated by VA privatization is utopian because corrupt, egotistic and greedy leadership exists in the non-profit and for-profit worlds. It takes a lot to embarrass anyone these days. The big cheeses just say/do whatever they want, apologize, and wait for things to blow over. Getting rich veterans into VA care might actually help a lot! Sen. McCain is probably eligible for VA care as a former POW (LINK) but I think we would all agree that he should be eligible for VA care regardless of his affluence or SC disabilities. If Sen. John McCain was a regular patient at the Phoenix VA I think the health outcomes for all veterans would improve markedly. Maybe ALL Congressional veterans should be required to receive VA health care, at least once a year, in their home states. Veterans often have different health care needs from those of the civilian populations (Agent Orange. Burn pits? What’s that? ); In our experience, many private doctors don’t even ask their patients if they ever served in the military much less understand the implications of who, what, where and when. My opinion is that we shouldn’t give up on the VHA yet. This entry was posted in All about Veterans, Food for thought, General Messages, Guest authors, Uncategorized and tagged asknod.org, Helping Veterans, Inspirational Veterans, VA Medical Care, Veterans Benefits. Bookmark the permalink. I’m curious as to what would happen if the VA only treated Veterans for Service Connected Disabilities. Less than half the Veterans enrolled in the VA have Service Connected Disabilities. How many Non-Service Connected Veterans who are Tricare, Medicare, or Tricare for Life eligible go the VA for the healthcare needs? I fully understand the right to VA healthcare for Service Connected Disabilities, but I don’t recall ever being promised VA healthcare just because I served. If VA healthcare is a screwed up as many people say, why are more Veterans actively seeking the services provided by VA healthcare each day? Tom, I guess your recruiter did wag that carrot. As in private health care, some providers are great, some lousy. Each VISN is different. Some veterans are very happy with their care; Alex was butchered and almost died. Veterans are most likely seeking VA services to stretch their dollars or don’t have any other health care options. It’s very hard to get service connected for anything (maybe 13% of claims? ); thousands of veterans who should be, aren’t, due to the insane rules and practices. So what would happen if only SC vets could be treated at the VA? I’m guessing 70-90% of the facilities could close down. LTC insurance is important if you can afford to pay for it. I bought a policy for me and my wife when we both were around 50 years old. For this I pay about $1500 a year for me and the same for my wife because we bought it very early. We bought a 5 year policy because average stay in a nursing home is about 2.5 years and I wanted to get a little more. Now if the worst happens and one of us were to come down with sudden Old Timer’s disease now and have to spend the next ten years in a home it would be bad. My wife being stubborn and not believing in modern medicine did not really cooperate with me or we could have gotten better policies. I know that the cost of decent nursing home care is very, very high. Everything besides a physical bed is extra and medicare does not pay for it. Getting PT or any sort of care as a custodial patient will almost double the cost of your basic care. I learned this by experience with my grandmother, aunt and mother. I even sued a nursing home for $500,000 and won with help from hotshot lawyer. I have walked a long road to try and see that we both have complete health coverage. Many are clueless as to real cost of medical care as we grow older. Nursing home care will drive you to the poor house in a hurry or in a car or even on horseback. In Tampa the VA has contract nursing homes for the select few. Some are OK and some are death camps where they don’t even bother to make sure the patients eat or drink. I know this for a fact and Florida has some of the more strict laws for nursing homes and assisted living facilities. Some are just death traps. Patients fall down stairs, choke on food or just die from neglect. Do not believe for one second your loved ones are being taken care of unless you check every day to make sure they are not being beaten or abused in some way. John, more practical tips! At first glance, the monthly cost seems high for your early buy-in. But we just signed up for two dental plans with pathetic annual limits for about $100 a month. One is the VADIP metlife plan. So after we get of teeth fixed, we should look into LTC. The VA has some resources for veterans. I don’t trust Florida with the oldies because my husband’s father got the Terri Schiavo treatment–purposeful starvation until death. His mother even approved removing his water IV but we made such a fuss, it was reinserted. It took eleven days for them to kill a 73-year old man (Army vet) with early dementia. It’s a long shameful painful story. I guess it’s worth looking at the current Medicaid rules to see how fast spouses can be completely stripped of assets when one is in a nursing home. 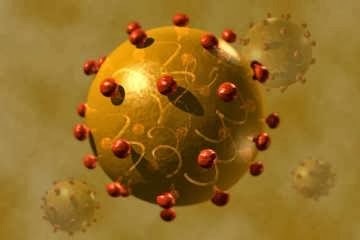 I take full care of my ill husband who is receiving health care through the VA and I can attest, it’s a full time job. They have so many employees involved in every aspect of care that you will easily fall through the cracks. I try my best in keeping my cool and even then the notes I see written under his “Myhealth.va.gov” account is mind blowing. My husband applied in 2010 for medical help from the VA and was told no. 2015 he tried again and then they said he had been covered since 2010. Now this time the lady repeated to him “This is not your health insurance”. It took nearly a year to convince them my husband needed to be placed on oxygen. He was diagnosed with several illnesses and his COPD just fell through the cracks. When I brought that to their attention I was told I was wrong. Needless to say, he landed in the emergency room at our local hospital where he spent 3 days. That’s when he was placed on oxygen right away as his levels were down in the 70’s, which can be deadly. When VA was notified, the notes now say I was difficult to work with. Any help I’ve asked for it turns out that if he’s not substantiated as combat related illnesses he qualifies for very little help. Thank you for sharing your knowledge here as it sure makes me feel we’re not alone. Not that I want so many others experiencing this, just makes one feel less mind blowing with how this all feels for our military hero’s and their wives trying to figure it all out. P.S. Thank you for your service to us all! I’ve read my hubby’s notes online too and and what he said versus what they say he said, are often at odds. So I now send a secure message email to correct the misunderstanding. My husband also has COPD. In MN, his PC doc would not order a nebulizer. His rationale was that he didn’t think he should be “tethered” to a machine. His new PC (we’ve returned to VT) issued one right away so that more molecules could reach his lungs versus an inhaler. So, you do have to be your and your husband’s own best friend. One thing I’ve learned from Alex, publisher of ASKNOD, is to be difficult, be a pain-in-their necks. Here we can vent, learn from each other and disagree too. Each VISN is different. Little things like eyeglasses. In MN, he was issued nerdy clunky eyeglasses. In VT, he just was sent a cool pair of flexible glasses that he’s really pleased with. (But we’re grateful for both.) That helps because I have to pay retail for eye exams and my glasses. So please keep sharing here. After 26 years of playing the VA game, I am more than willing to give privatization a shot. I have actually had VA providers tell me to try and find private physicians to treat my SC illnesses. (Thanks to the water at Lejeune, I have respiratory, CV and digestive problems). Their reasoning: VA is incapable of treating me properly. Now if the doctors hired by VA are telling us that VA is incapable of providing the level of service needed to properly care for us, I’m wondering why it exists at all. Switch it over to a private carrier insurance program, close the facilities and use the money saved in operating expenses to guarantee no vet ever has to go without proper medical care again. Ray, the only way I can see this happening (privatization) is if a “medicare-for-all” program is phased in. People get alarmed when they hear “single-payer” but “get it” when they understand that it’s an expanded Medicare program. As with current Medicare, private insurance companies would probably still be able to offer cheap Medicare Advantage Plans. I think my husband’s plan costs $50 a month with RX–which he doesn’t need because the VA pharmacy fills his drugs. This patchwork of different programs is highly inefficient. My husband was exposed to toxic Lejeune water also and if you or any other Asknodder has the time to research this topic and claims, we would all benefit from the information. I agree with the medicare-for-all if medicare would pay 100% of a 100% disabled vets bills. I have medicare now and private insurance that is secondary and pays for pills and such. I do use the VA for pills but not much more these days. I get pain meds from them and must remind them every month to not forget to send them to me. If I could find a decent pain doctor I would not even use the VA except to document my SC disabilities and that I am being treated for them and still suffer worsening symptoms. I was exposed to AO and now have a number of AO conditions. 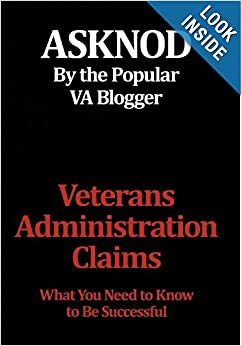 The VA doctors I see know nothing about AO. They have never tried to link obvious AO diseases to AO exposure. I do that myself since I know more about AO than they do. Most just try and avoid any discussions of AO and possible AO related disease. I bet the bosses tell them not to draw connections between AO and any disease a vet has now. I think I could get better care from a veterinarian rather than my VA doctor. I hate these people and think all should be fired and have to get real jobs. facility. I hope not since I have private LTC insurance. The level of incompetence at the VA is really demoralizing. It is a charity hospital to all practical purposes. I know because I am treated like an undeserving charity case when I go there just to stay in the system. I am used to not being acknowledged by staff while I stand in front of them waiting to be served. This casual insult is obvious. In “A Christmas Carol” one of the charity men tells Scrooge that many would rather die than go to the work house. I think I would rather die than let the VA have full control of my medical care. I can say this because I have good medical insurance that costs me a bundle. For the non-SC medical bills, if the VA bills your private insurance, they are supposed to deduct the co-pays (if any are due because of a higher priority rating). I don’t know if people are seeing that on their statements. LTC insurance–we haven’t even looked into that. Everyone should be able to buy into LTC at the same group rates and plans that government employees pay. If you are Cat 1 for VA healthcare, 50% or greater S/C disability. You should not have a copay for any care you receive at the VA. The Federal government is highly inefficient at running VA health care and benefits, and does a poor job. Its based upon an economic principal called “economies of scale.” You see, a mom and pop firm is inefficient..they buy their goods for retail, and employees are expected to perform jobs they know nothing about because they have no formal or informal training. As a company grows, it becomes more efficient..buys in bulk, hires specialists suchs as accountants, warehouse, sales representatives, and manufacturing assembly specialists. However, as the firm continues to grow the efficiency “peaks” and eventually declines as the number of employees simply becomes too large for one manager to manage, and the massive size means big waste is not even noticed. Our government is in the later category. Even our military understands that we dont all report directly to General Petraues or whoever. We report to our supervisor, who reports to the Master Chief, who reports to the officer of the Day, who reports to the Captain, who reports to a general in Washington who reports to Petraeus. This is why smaller, more efficient private care providers do a better job with health care than one giant VA conglomerate, where Vets often fall through the cracks even with well meaning VA employees. Makes sense. Also neighborhood providers have a reputation to protect.